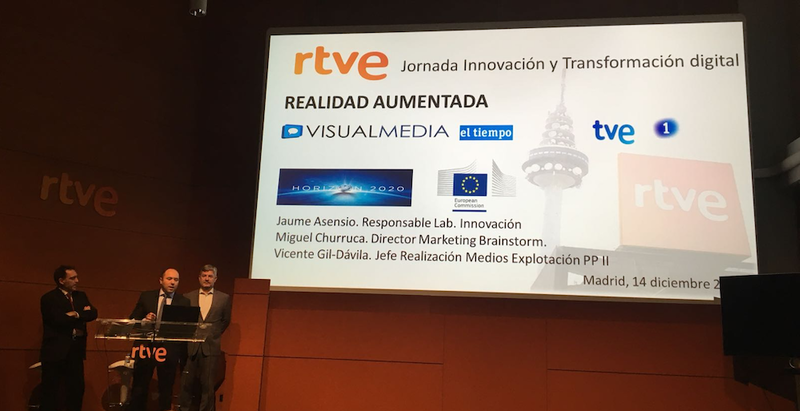 Last 14th December took place at RTVE the Annual innovation meeting “II Edición de la Jornada de Innovación y Transformación Digital en RTVE” with the collaboration of Universities, companies and the innovation departments of RTVE. 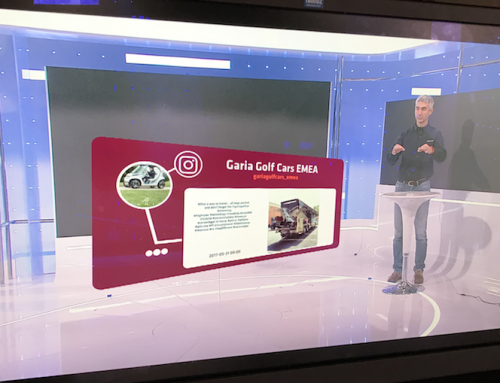 The agenda covered fifteen innovati on projects RTVE is developing such as Visual Media, 5G, Big Data, Start Ups, IP production, 4K HDR, Mobile journalism, etc. 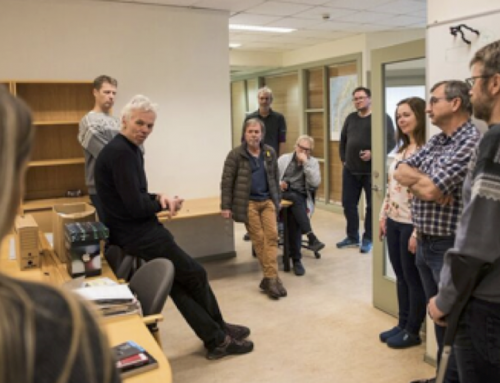 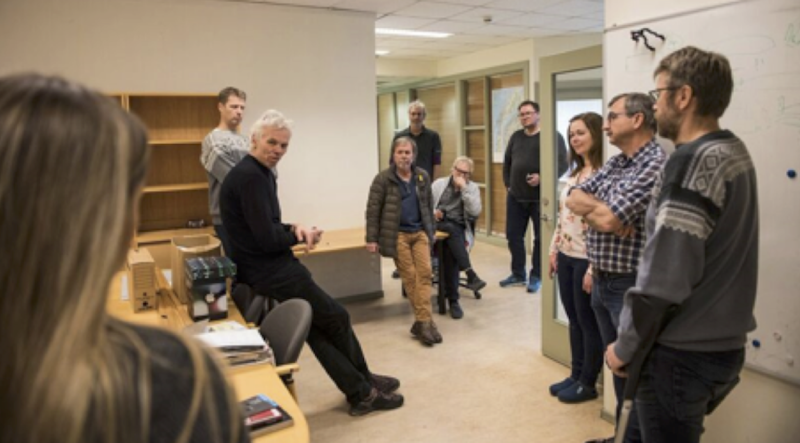 and also some new projects that will begin next year. 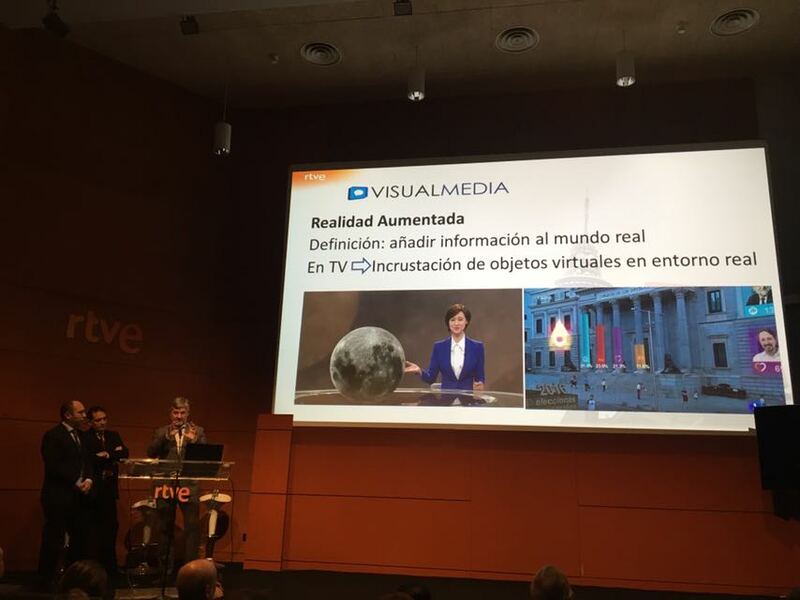 Jaume Asensio and Vicente Gil-Dávila from RTVE and Miguel Churruca from Brainstorm participated as speakers with the presentation ”Realidad aumentada: Proyecto VisualMedia y otros”. 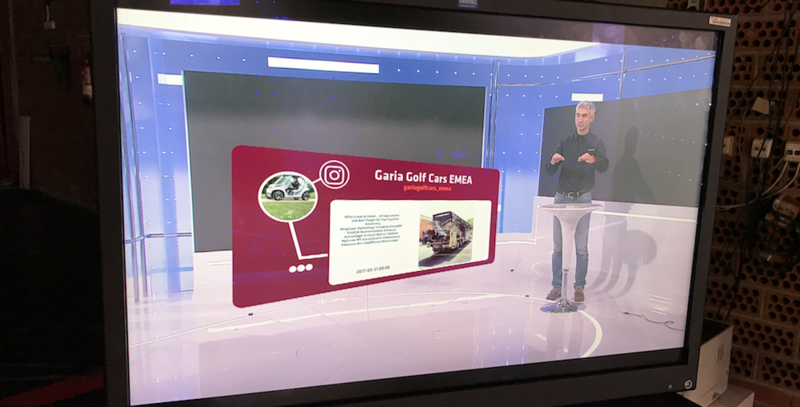 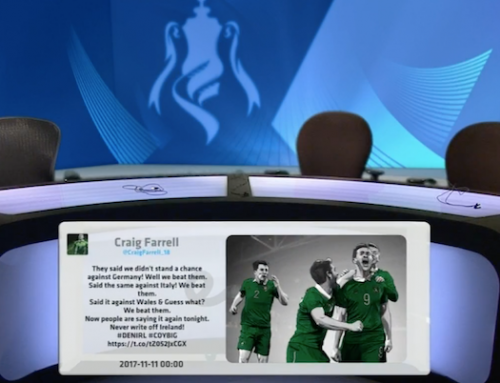 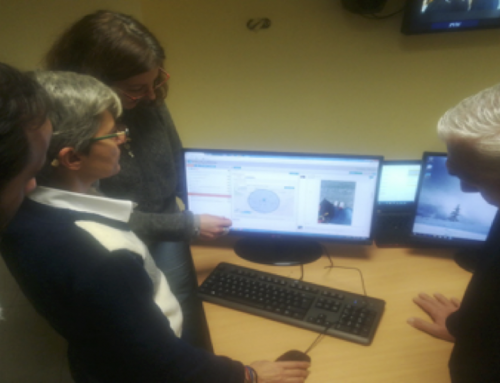 We explained the advantages of using augmented reality in live shows and news explaining the Visual Media project and the application of this technology at RTVE. 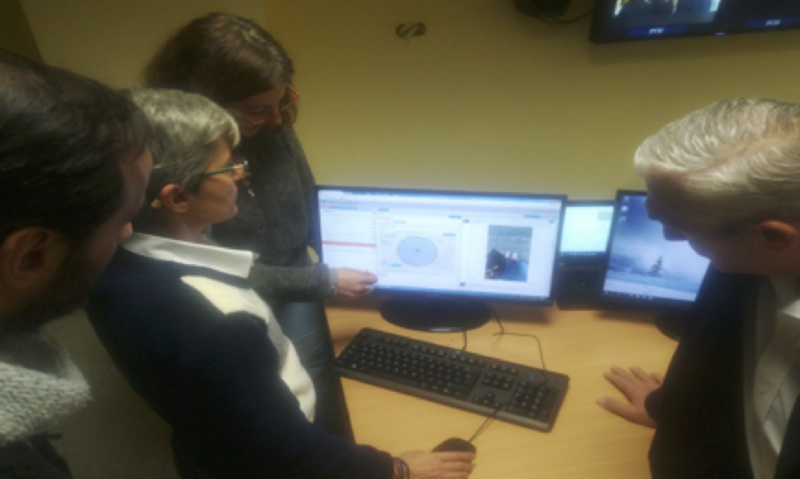 As part of the presentation we showed the making of the installation and setting up of Visual Media at Studio 3 of RTVE and we also introduced a myriad of possibilities that this technology may open up in terms of new ways of interacting with the audience, what will contribute to the innovation of the entertainment market.